The Han Solo trailer is cool, but where is our stand-alone Emilia Clarke Star Wars movie? 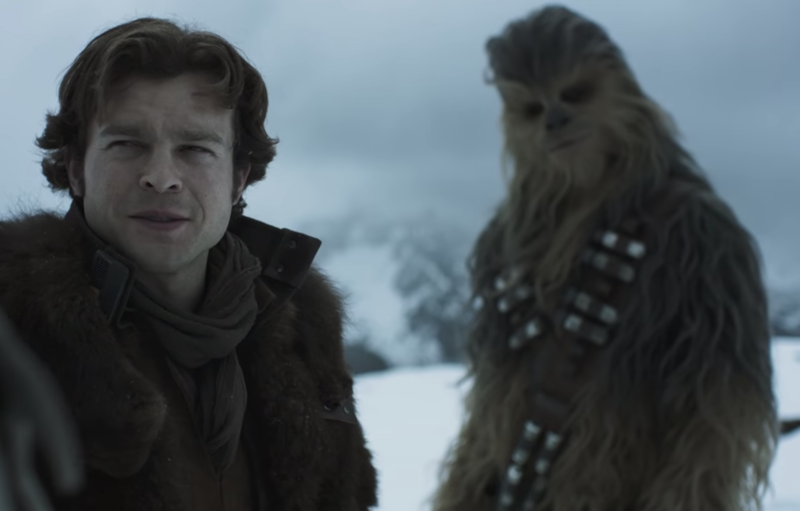 Just hours after tempting us with a very brief teaser during the Super Bowl, the first trailer for Solo: A Star Wars Story has arrived. And we are officially HYPED. For months there’s been a bit of a cloud lingering over the upcoming young Han Solo film. After a summer of drama — which included the firing and replacing of the film’s directors, months of reshoots, and then months of absolute silence — many fans were beginning to wonder if we’d ever get around to seeing a glimpse of the highly anticipated film before it hit theaters in May of 2018. Now, not only is the first Han Solo trailer here, but it is wild. And we are so here for it. The Han Solo trailer also gives us an additional look at Donald Glover as Lando Calrissian, Solo’s iconic smooth-talking smuggler frenemy, and a first major glimpse at Woody Harrelson’s Tobias Beckett, Solo’s mentor who puts the crew together. But naturally, Emilia Clarke steals the show as Qi’ra, who is not only the best-dressed person in the galaxy but also seems to have a mysterious past with our favorite lovable rogue. “I may be the only person who knows what you really are,” she tells Solo. WHAT DOES THAT EVEN MEAN? Check out the full Han Solo trailer for yourself. Talk about #squadgoals! Plus, young Chewie, Thandie Newton, a giant space squid, a dramatic escape, and of course, THE MILLENNIUM FALCON! Lucasfilm definitely had us nervous for there a second there, but we are so hyped for this. Start practicing that Kessel Run now, because Solo lands in theaters on May 25th, 2018.